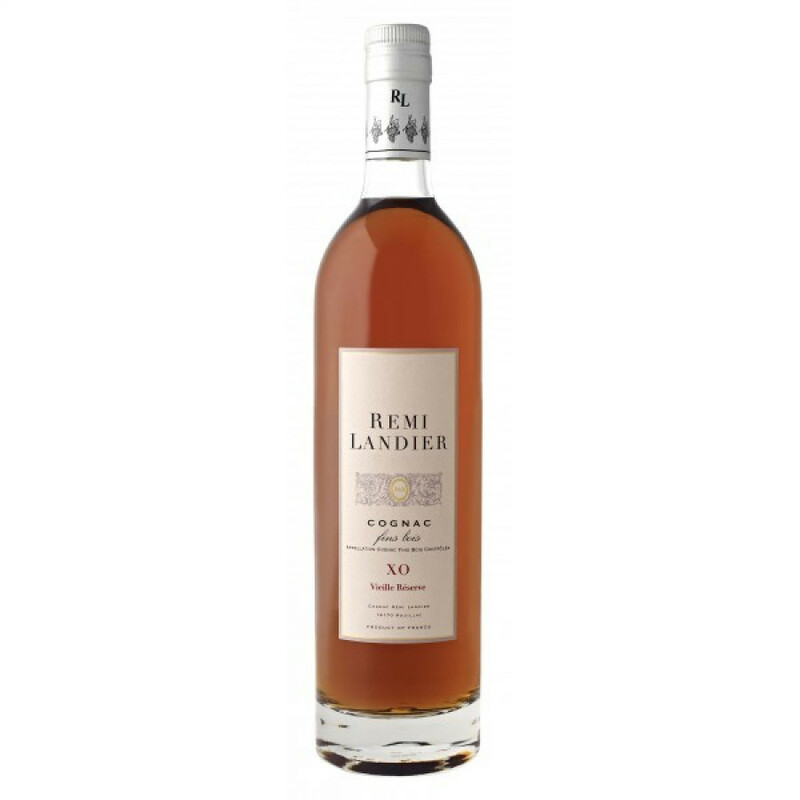 The Remi Landier XO Vieille Reserve Cognac will surprise you in many different ways. Perhaps it's the subtle taste of only Fins Bois eaux-de-vie that make up the blend? Or maybe it's because it's been barrel aged for a minimum of 15 years, 3 of which were in new oak barrels and 12 in old ones. Or it might be just the delight of tasting a subtle, elegant cognac that's lilght on the palate yet smooth as silk. Last, but by no means least, the price tag seems way too low for a cognac of this quality. Legally an XO, it deserves its title of 'vieille reserve'. And if you've yet to taste a cognac from the house of Remi Landier, then this would be a great introduction. Presented in a classic style bottle with a cool and crisp label, if you're looking for a cognac to bring out at the end of a dinner party, then your search may very well end here. A great buy, and one you're sure to fall in love with.